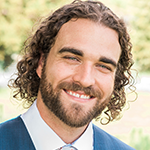 You are here: Home › Taylor Kuhn, Ph.D.
Dr. Taylor Kuhn is a CNS Clinical Neuropsychologist, and conducts neurocognitive assessments and assists in formulating multi-faceted treatment plans. He also holds a faculty appointment at UCLA as the Director of the International Human Brain Mapping Project. Specializing in the intersection of neuromedical illness and mental health treatment, Dr. Kuhn provides outpatient neurocognitive and psychodiagnostic assessment along with coordinated treatment. These services are available to adults with a broad array of neurological and psychiatric concerns. He also has experience providing pre-transplant, rehabilitation and geriatric psychological consultations. Throughout his career, he completed extensive training in outpatient, inpatient, and perioperative neuropsychological assessment. He obtained his Ph.D. in Psychology from The University of Florida. He completed internship at the Boston Consortium in Clinical Psychology with fellowship appointments at Harvard University and Boston University. He also completed postdoctoral fellowship at UCLA, where he had the honors of being chief research and assistant chief clinical fellow. to investigate relationships between brain and behavior across multiple psychiatric conditions, neurodegenerative disorders, neuromedical illnesses, healthy aging, and intellectual giftedness. More recently, he has expanded his research endeavors to include investigation of non-invasive neuromodulation techniques, such as transcranial magnetic stimulation (TMS) for psychiatric illnesses and low intensity focused ultrasound pulsation (LIFUP) for enhancement of learning and memory.